Awhile back, I published an article all about the differences between the different Lavender essential oils and I had a few of you ask if I could post an article like it that outlined the differences between Helichrysum essential oils. This one is for you! Helichrysum is a small, flowering Daisy family plant that produces little yellow flowers. It is sometimes also called Immortelle, Everlasting, Curry Plant (not the same as Curry leaf) and Life Everlasting. Helichrysum species grow in so many different parts of the world (France, Croatia, Madagascar, South Africa, the US, etc.) with varying growing conditions and climates, so their therapeutic properties can vary quite a bit based on the species and where it was grown. To keep things simple, I like to think of Helichrysum essential oils as being separated into two main teams: the wound healers and the breathe easy-ers. The wound-healing group of Helichrysum essential oils is the main group that will come to mind for most people when they think of Helichrysum and its therapeutic properties. This group contains Helichrysum italicum essential oils that are generally rich in sesquiterpenes, especially Υ-curcumene, esters (mainly neryl acetate), and monoterpenes like α-pinene and limonene. Constituents may vary a bit based on the growing conditions and where the plant was grown, but in general, Helichrysum italicum essential oils are especially suited for wound healing, skin issues, pain and inflammation, injury support, and their ability to help balance the emotions, uplift the spirit and facilitate healing after emotional or physical trauma. Helichrysum italicum essential oils generally have a warm, earthy, slightly sweet middle to base note aroma and are valuable additions to wound-healing applications and after-trauma support. Their antimicrobial properties further assist with wound-related applications. Perhaps lesser know, this group of Helichrysum essential oils brings support on a different level. They are generally richer in the molecule 1,8-cineole (H. bracteiferum, H. gymocephalum, H. odoratissimum), the sesquiterpene β-caryophyllene (H. bracteiferum, H. odoratissimum), and the monoterpene β-pinene (H. bracteiferum). Constituents also vary based on growing conditions and location, but in general, these species are grown in areas like Madagascar and South Africa and are much more suited to applications for respiratory system support. They smell nothing like the italicum species and have a much sharper, more medicinal aroma. H. bracteiferum, H. gymnocephalum and H. odoratissimum essential oils are antimicrobial and well suited for decongestant formulas that help to open up the airways and expel mucus from the respiratory system. They are said to be useful for allergy symptoms and for assisting the immune system during cold and flu season. These oils are still anti-inflammatory and analgesic like their italicum sisters, but they are not well suited for skin healing applications. They are prone to oxidation, so it’s best to store them in the fridge to extend shelf life and reduce risk of skin irritation. There is one species of Helichrysum that is truly a team player in that it kind of fits into both categories of Helichrysum essential oils: it is excellent for both wound healing applications and for respiratory support. Helichrysum splendidum may be the essential oil to purchase if you want the best of both worlds but only wish to purchase one oil. It has a balancing effect on the mind and is still useful for trauma support, but is also antimicrobial, well suited to formulas that deal with cold and flu or allergy symptoms. This particular oil is rich in δ-cadinene and germacrene (sesquiterpenes), with a notable β-pinene content as well. Regardless of species, Helichrysum essential oils are pretty safe to use in topical formulas, but it is thought that they are most effective when used in smaller doses. This is especially great if you want to use Helichrysum italicum species-derived oils because they tend to be more costly oils, but will last you quite a while since very little is needed to reap their therapeutic effects. In general, the shelf life for Helichrysum essential oils ranges between 3-6 years, with the species listed in the breathe easy team on the shorter end of the spectrum. 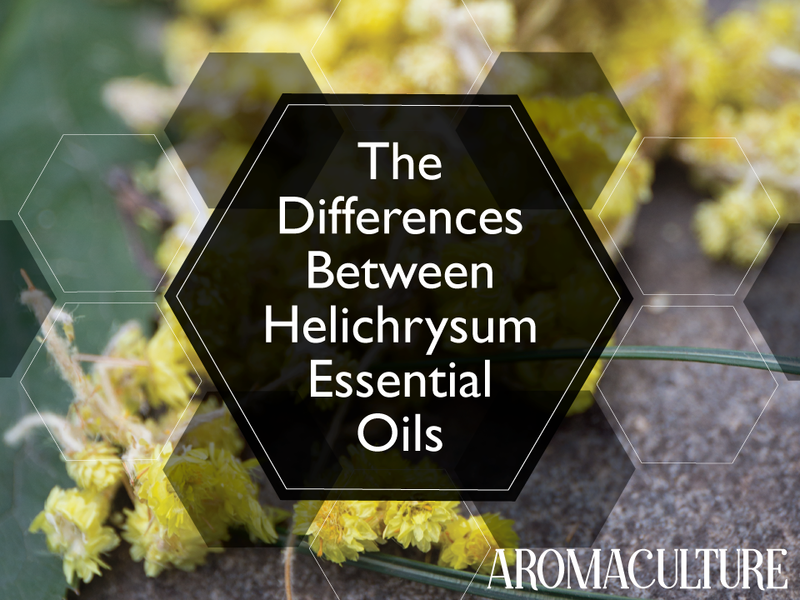 Which Helichrysum species essential oils do you have in your apothecary?